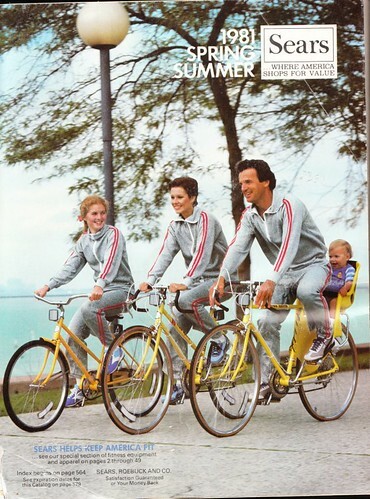 I've scanned 64 pages from a 1981 Sears Spring/Summer catalog. 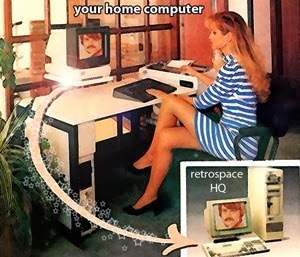 I expect no payment in return, only your abiding loyalty to Retrospace. My only reward is the big smiles on your faces (which I can't see, and if I could, would probably creep me out). I initially planned to scan the whole damn catalog, but then common sense (and hyper-laziness) took over, and I settled on a selection of pages throughout the catalog. To download all the scanned pages from the 1981 Sears catalog click here (rar file via Rapidshare). 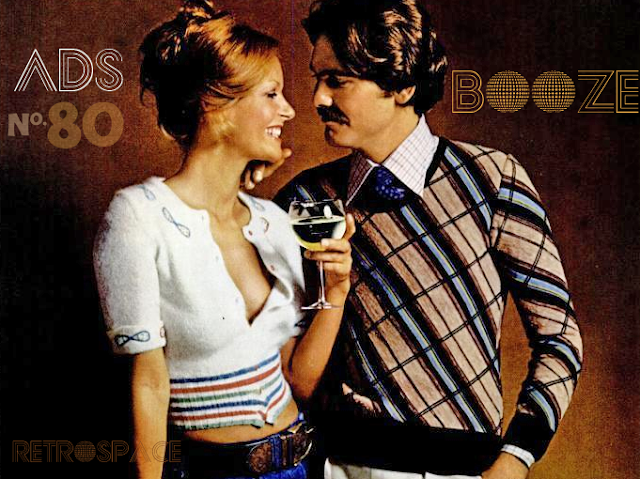 One thing I noticed while going through this catalog was how 1981 fashions and decor were perfectly poised between the 1970's and 1980's - in other words, there's the pastel Miami Vice fashions right alongside the brown and avacodo 70's. The earthtones and bell bottoms weren't completely phased out, and the vibrant colors and styles that we commonly associate with the 80's weren't in full effect yet either. 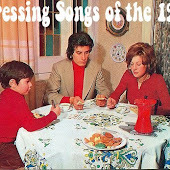 1981 stands as a transition period between two very different decade styles. Here's a few of my favorite pages from the catalog. The colors of these two bathrooms are so loud, I think the blind can even see them. Sheesh. Talk about vivid. Do they come with batteries? Everthing is so excessively lemon or lime, I'd be afraid I'd become disoriented, lose sight of the bowl and miss! Do my eyes deceive me, or is there a naked chick in my Sears catalog? In Flickr, you can view the large size, and it sure as hell looks that way. Granted, everything's covered up, but it's still pretty surprising. 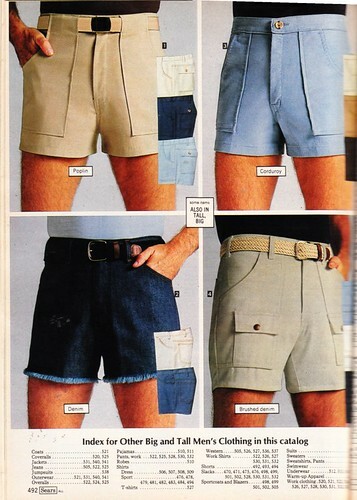 Shorts lived up to their name in 1981 - they were short..... reeeeeeal short. I don't know who wears denim shorts like that anymore besides Madonna's dancers. These are damn near close to being Daisy Dukes for men. These would be illegal today. The only reason to wear shorts like that is to display your package, but if you're a Ken doll like the guy in the catalog, why bother? Gilligan, I salute you for having the time and patience to scan that entire thing. It takes my scanner about 3-4 minutes just to record one page. The roller skates bring back happy memories for me...I loved roller skating. Is it wrong of me to want to live in this world again? I don't think so. 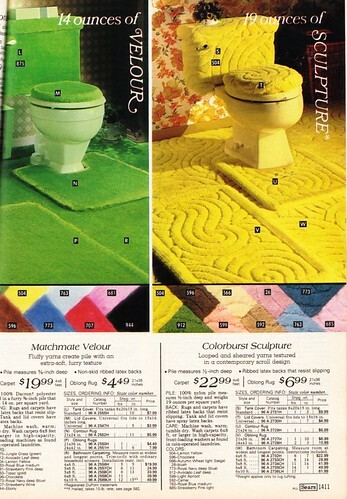 I love the lime-green and lemon-chiffon matching toilet seat and tank covers. Nothing hides piss stains like chiffon yellow. On another note, the male shorts models must be tucking their sacks. There is no bulge, but there should be. I guess they could be eunuchs. Great post as usual! I could totally see myself slipping into the traditional men's yellow jumpsuit, while firing up the giant wood-paneled VCR on a Saturday afternoon. Maybe I'll watch my $129 VHS copy of Clash of the Titans that just came out. Oh, those wonderful shorts on the guys -- I really miss the days when you could SEE a man's legs. Gilligan, you rule! I must be getting old--most of the stuff in this catalog looked just fine to me! (I'm 47, graduated high school when this catalog came out & oh boy did I own plenty of those striped knit tops & short guy's shorts.) But those men's pantsuits were just as gay then as they are now--nobody wore those! 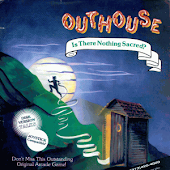 The shots of shorts do disturb, but what I find truly shocking is the front cover. Sure, adults and teens didn't wear helmets back then... but babies? It amazes me the lack of options we had back then. I am a 80's babe. I was 11 yrs old in 1981. My high school years were full of BIG hair and TIGHT pants. Those were the days. Curious... would it be possible to see the children's section of this catalog? The reason is.. 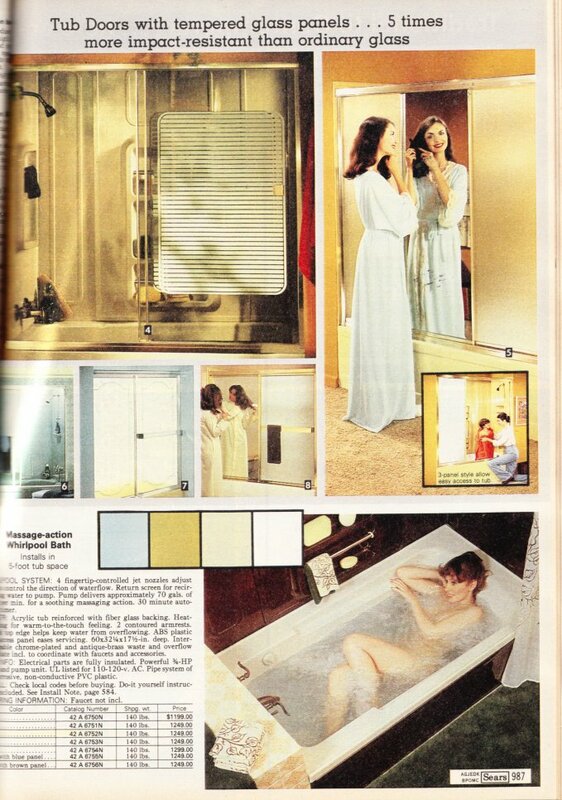 I was in one of these catalogs! I'm not positive, but I believe it was this one and I have not been able to locate pictures until now! I am looking for the girls section, I was about 5 years old! I'd love to see the pages from the lawn & garden section. 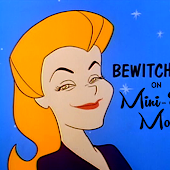 Any idea where I can find full scans from JCPenney and Monty Wards, say 1975-1995? Ancestry.com has Sears, I cant find the others anywhere. I'm willing to pay a modest amount for the pages I need. Thanks!